It is always exciting for me to write my regular month updates. Sharing the details of my blogging journey have made me more accountable towards growing it. I also share these to show what is working and what is not for my blog, which might help you to make better decisions. My third month was very eventful in many aspects; I reached some milestones (not big ones). Some of the posts did well. By that, I mean one of my posts got more than 11k shares on Pinterest. I still can’t believe it. Thanks to everyone who helped in sharing it. This post is also extra special to me; I AM WRITING MY FIRST INCOME REPORT. For many years, I have been reading income reports of bloggers, and now I am writing my income report (though it’s not a huge number). Nevertheless, it is a significant milestone for me. 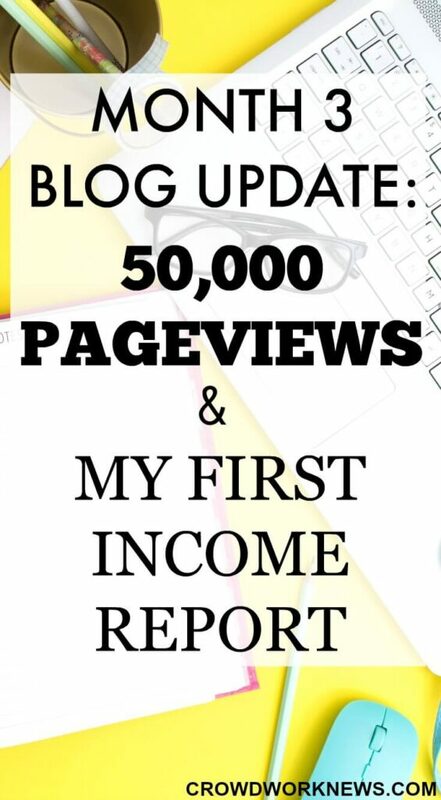 The two reasons I am sharing my income report is, first to be accountable and then to show you no matter how young your blog is, you can make money from your blog. After getting over 25k page views in the second month, I put a target for myself to reach 50k page views by the third month. Did I reach my target? I reached my goal of 50,000 page views. I am super happy. Though I was a bit skeptical about this goal; I made it. So, what helped me to reach this figure? The credit goes to some of my posts which did well, especially on Pinterest and Lena’s Blog Traffic Ebook. If you are struggling to get your page views up, then you need this. For the content it has, this eBook is more than it’s worth. I could understand clearly what my readers would like to see on my blog because of these posts. The primary traffic sources for this month were Pinterest, Facebook and StumbleUpon. Though I am happy with the page views, I will have to work on lowering the bounce rate, which is pretty high at the moment. This month was good for me with regards to my list. I am getting around 8 to 9 sign ups every day. My goal was to reach 300 this month; I have 200 subscribers now. Though the growth is slow, my unsubscribe rate is very low. That means that my subscribers are happy with what I am sending them. I have 930 followers on Pinterest. Wow!! That’s huge for me. I am hoping to accomplish the 1k mark soon. My reach has also increased exponentially. Tailwind and BoardBooster are big time savers for me. For the amount of traffic I am getting from Pinterest, the time I spend on both of these excellent tools is negligible. I am super happy with the Facebook growth performance. I am spending more time on Pinterest and Facebook for now. My second biggest traffic referral is from Facebook. My page likes have increased to 700. It is not a big difference, but what is surprising for me is, my reach has seen a spike. A month earlier, my reach was 40, and now it has gone to 250. I am a complete newbie when it comes to Facebook; I didn’t even have a personal account before. I bought Brittany’s eBook even before starting my blog and started implementing her strategies. I totally give credit the Facebook growth to this eBook. One thing I am experimenting is the timing of posts and kind of posts I share. Twitter does not bring much traffic to my website. I had 245 followers last month, and this month I reached to 280. I know many people use tools like Crowdfire to increase the followers, but I want to grow the followers organically. I have to work on Instagram. One reason why I am neglecting this platform is, it does not bring much traffic to my blog. I will try to change that next month. I am still testing different things to see if it works out for me. Now for the exciting part, this is the income that I have generated in the month of September and October. Before I started blogging, I heard many say; it takes some time to monetize your blog. But this month proved that it doesn’t matter when you start, if you put in the hard work and promote well, then you can make money from your blog. Most of my income is a result of the strategies that I have learned from Michelle’s course. After finishing Making Sense of Affiliate Marketing, I signed up for some affiliate networks and made some changes on the website. I am experimenting with Media.net, ad network. I also signed up for Mediavine, another ad network which is highly recommended by many bloggers. I am working on my Job Board consistently. My job leads page is getting more traffic every day, so I am working more on it to make it more useful for my readers. I focused working more on traffic driving methods for these three months; I will continue to do that in future, but now I will be dividing my time equally between driving traffic and making conversions. One big lesson I learned is, you don’t need to have massive traffic for all the posts on your blog to monetize. Even a single viral post can make money. As I always say, investing in resources and tools to grow your blog is a definite need. I genuinely feel that Michelle’s course is the best decision I took ever since I had started my blog. 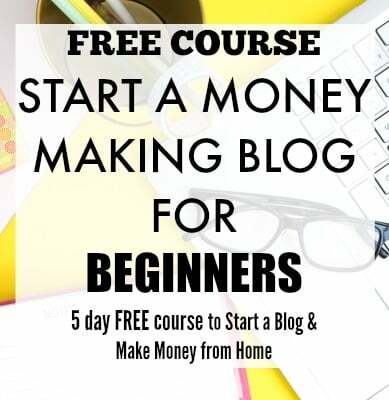 The support and feedback I get from the Facebook group, and Michelle on different aspects of blogging apart from affiliate marketing is worth more than the course itself. 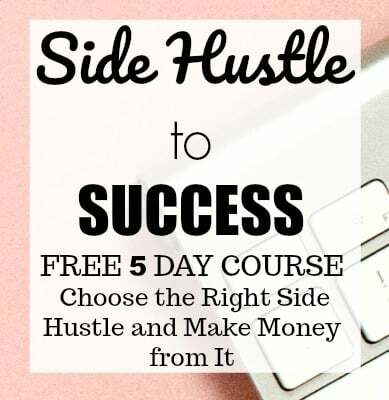 I am focusing on writing immensely useful posts this month especially about many side hustles, which might be helpful to my readers. Also, I have some interesting and unique interviews scheduled for this month. OK, I know it might be little difficult, but I would love to see the traffic go to 70,000 page views. It is a BIG target for me. Nevertheless, I want to see if I can reach it. I have not set a goal for the next month regarding income, but I want to grow it as much as I can. I will have to promote more and work on converting my traffic. I am very excited to see how this goes. Growing subscribers further is another goal for me for next month. I will work towards increasing it to 300. With more interesting and unique posts about making money and more expert interviews, I am super excited for this month. When I started blogging, I knew nothing about how to start a blog, how to grow my followers or anything related to affiliates. I learned many things in these three months. The major growth I have seen in my blogging journey was because of the resources I have mentioned before. I have used them and truly benefited in a big way. Thanks to these rocking bloggers for creating such incredible resources. I would love to hear your comments about my first income update. Please share them below. You are doing so well Sireesha! I love reading your stuff. I need to up my game on Pinterest! Do you use Boardbooster or Tailwind? Thank you!! I am so happy you enjoy my posts. I started using Boardbooster first, but now I am using Tailwind as well. That’s amazing. So happy for you. Can’t wait to see you reach 100k pageviews mama! Lots of value here. Way to grow your traffic and live unstoppable! Thank you:-), Hope to learn and grow more. this is very encouraging I’m in my second month but a total newbie learining as I go! Happy to know my post was helpful to you!! I am still a newbie and learn something new every day. I’m obsessed with Making Sense of Cents! I love Michelle and I heard so many great things about the course that I decided to enroll soon! I definitely need to work on my Instagram game. Thank you for the post! I am just starting out blogging,haven’t published yet- still writing content. With all of this information that is out there I am a bit over whelmed! After reading your post I’m a little less nervous than before. Thanks again! And good luck! So glad you liked the post!! It was the same for me when I started, very confusing. But I am happy I invested in the right courses/ resources. I am sure you are going to do great:-) Good luck!! Thank you for the useful tips! Congratulations on doing so well!! I know you will reach all your goals! Very interesting could you let me know more about your job board. [email protected] I love your blog.